While all of the Angry Birds hype these past few months has been on Angry Birds 2, the franchise itself still has a lot of older games that are just as fun. 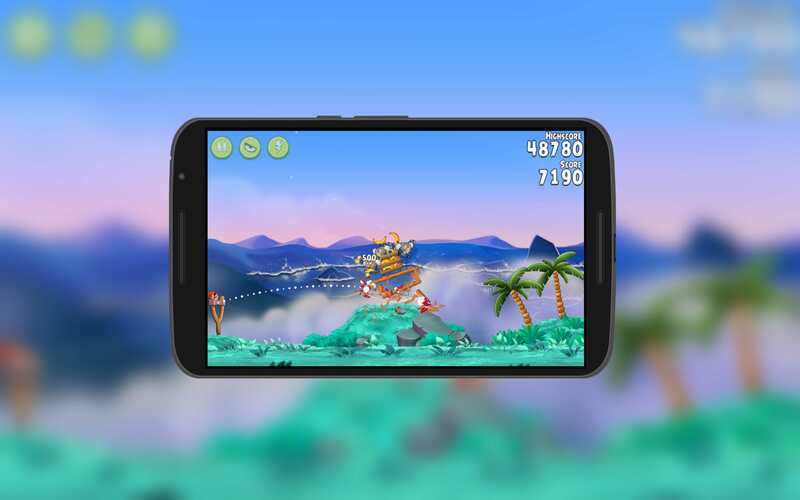 The 2nd oldest in the series, Angry Birds Rio, received a somewhat rare update today, bringing with it 20 new Amazon River themed levels to the game. The update is version 2.5 for those keeping score at home and it is available for both Android phones and tablets. It is a freemium game so it won’t cost you anything to download but there are plenty of in-app purchases to further yourself along should you chose to do so. Float along the Amazon river and dive into the jungle in the new TREASURE HUNT episode! 20 feather-ruffling levels full of new challenges and new collectible coins! In addition, there are now collectible coins on the treasure hunt levels which you can use for power ups and other in-game add-ons. While Angry Birds Rio isn’t my favorite of the series, it is certainly a fun one. Like my favorite (Angry Birds Seasons) it is a bit of a twist on the classic game which makes it different and challenging.